The Hospital and Healthsystem Association of Pennsylvania (HAP) is a statewide membership services organization that advocates for nearly 240 Pennsylvania acute and specialty care, primary care, subacute care, long-term care, home health, and hospice providers, as well as the patients and communities they serve. Over the years, HAP has purchased multiple dataset files from the Pennsylvania Health Care Cost Containment Council (PHC4). HAP is a strong advocate of using hospital cost and quality data effectively to inform consumers and help reduce health care costs. The association emphasizes the importance of timely and consistent data, as health care providers strive to keep pace with changes in the health care industry. During the past ten years, HAP purchased data directly from PHC4 to conduct ongoing monitoring of statewide, regional, and hospital-specific quality outcomes. HAP uses PHC4 data, along with data from the Centers for Medicare & Medicaid Services’ (CMS) Hospital Compare and the Agency for Healthcare Research and Quality’s (AHRQ) quality indicators, to release aggregate results of its quality monitoring research to its member hospitals. This data helps HAP members improve patient care. HAP hosts MONAHRQ (MyOwnNetwork, powered by AHRQ), an AHRQ software tool that generates a website of health care reports based on the data input, for member-only use on the association’s private website. HAP hosts a consumer friendly version of MONAHRQ as a public quality and cost transparency website. More recently, HAP purchased readmission analysis data reports from PHC4 that included hospitals' seven-day and 30-day readmission rates on all cases and for cases involving sepsis conditions. These reports are used as part of the CMS Hospital Improvement Innovation Network (HIIN). Beginning in 2011, HAP was selected to take part in the CMS Partnership for Patients (PfP) initiative, a nationwide public-private collaboration aimed at reducing preventable hospital-acquired conditions by 40 percent and 30-day readmissions by 20 percent. The initiative was part of a framework established by the Affordable Care Act to deliver better care and spend dollars more wisely. This work was carried out through HAP’s Pennsylvania Hospital Engagement Network (PA-HEN), which partnered with other health care providers to help hospitals achieve these goals. HAP’s PA-HEN participated in a second round of the initiative to continue working to improve patient care in the hospital setting. As part of the integration of the CMS PfP HEN into the Quality Improvement Network-Quality Improvement Organization program, CMS selected HAP to continue these efforts. HAP is now in its first full year of the newest CMS project, the HIIN, and is observing improvements in hospital performance. Currently, there are 96 acute care hospitals that voluntarily participate in the HAP HIIN. After HAP views and monitors hospitals’ data, they contact the best performers to identify best practices, and engage them as educational partners. The HIIN then works with the hospitals not performing as well, or if outliers arise in the data, the HIIN team assists those hospitals to improve, all through the adoption of best practices, education, and site visits. The hospitals may view their individual data using an updated dashboard through a portal, and compare their rates and quality indicators for various conditions, such as sepsis, pressure ulcers, etc., with peer hospitals. HAP continues to have success in the area of hospital quality improvement which directly corresponds to the goals of PHC4, “an independent state agency responsible for addressing the problem of escalating health costs, ensuring the quality of health care, and increasing access for all citizens regardless of ability to pay.” PHC4 appreciates HAP’s work in quality improvement and looks forward to future opportunities to collaborate to improve care. 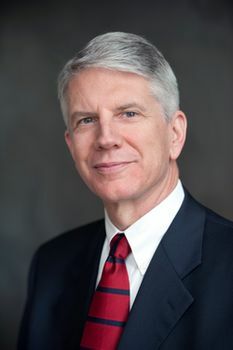 Andy Carter assumed the role of HAP’s president and CEO during December, 2012. In this role, he represents more than 240 acute and specialty care hospitals and health systems across the state, providing care for 12.8 million Pennsylvanians. He works with a 27-member Board of Directors and a team of 60 staff to lead the advocacy, policy, communications, non-dues revenue, and member service initiatives of one of the nation’s largest statewide health care advocacy organizations. Andy has worked with the membership and the board to strengthen public financial support for hospital quality improvement and access initiatives; improve financial and quality transparency; advance physician engagement; engage patients and consumers in their health care; enhance HAP’s political action committee; and significantly strengthen HAP’s financial position without increasing dues. He serves on several American Hospital Association policy committees. Before joining HAP, Andy served for nearly six years as the president and CEO of the Visiting Nurse Associations of America (VNAA), the official national association for nonprofit, community-based home health and hospice agencies, which care for approximately four million patients each year. While leading the VNAA, Andy advanced efforts to promote new investments in the home health care workforce; reform the health care delivery system to increase emphasis on home- and community-based care; and improve access to high-quality care.